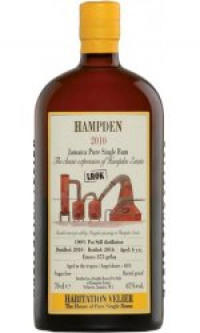 The Rum “Hampden LROK” expresses the Jamaican style of Rhum and the soul of the Hampden distillery. It is produced with a pot still and tropical ageing for 6 months, then full-proof bottled. It smells like fruits, honey and tobacco. The taste is smooth, warm and powerful, with a long persistence.